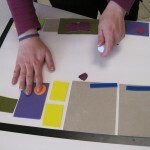 We are now in week two of Drawing Class at the Colorado Center for the Blind. 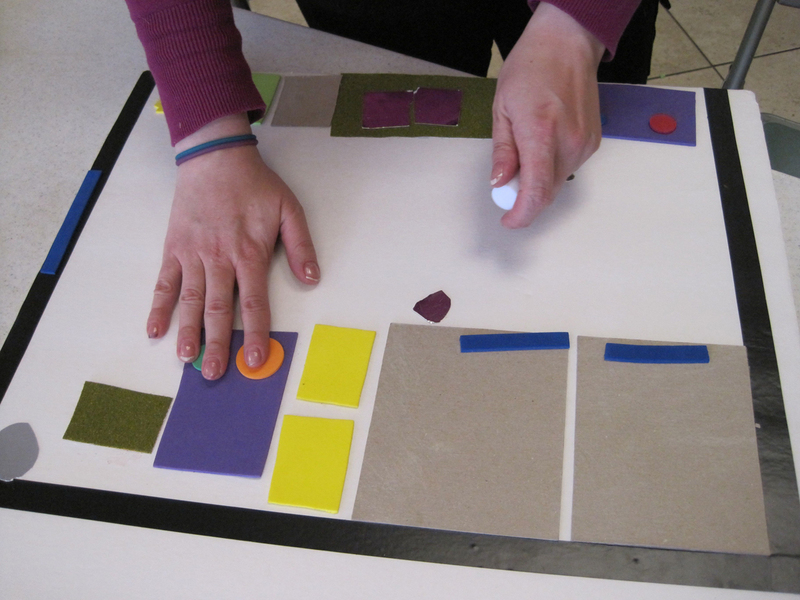 This week we explored how a bird’s eye “point of perception” can be used to create a map. Image of student adding burners to the stove in our map of the kitchen at the Colorado Center for the Blind.